Posted on September 25, 2016, in liturgy and tagged modernism, pope John XXIII, st. Pius X, tradition, traditional latin mass, vatican ii. Bookmark the permalink. 19 Comments. Thank you Brian Williams. Perfect. Thank you indeed! Your post made me think of Joshua 24:15. I love this. But can a regular parishioner at a modern parish help, other than to pray? We have to drive 45 minutes for a Latin mass – the kids would riot! @Marianne. I drive 2 hours and it is worth it. Try reciting the family rosary during the ride. We drive an hour to our Latin Mass! My children, ages 10,7,5, and 2 love it. Truly! The beauty and transcendence and “bells and whistles” and order and ritual appeal to children because it appeals to their senses and their innate love of Truth. Try it! We would never go back! Im pretty sure Gadium et Spes addressed both communism and modernism. From what I have read of Gaudium et Spes, it does not directly condemn modernism but does address some modernist ideas. I would be most interested in a quote from this V2 document that directly condemns communism. Spot on Mark. No outright condemnation of Modernism, but some ideas were addressed…though often in words seemingly in conflict with prior magisterial documents. Also, communism was not condemnation in order to permit the participation of Russian Orthodox priests/bishops at the Council. All I want to know is if the Liturgy Guy is a cleric or a layman. Please do not put me on a list for updates. It’s just a simple question. Hi Chas. I don’t “put” anyone on a “list” for updates. Folks subscribe to the blog if they choose to. Please go to my About page to learn more about my story. You say the minor changes made to the Mass and vestments were organic. I have heard criticism of the “development” of the Roman Chasuble (fiddleback). Personally I like the fiddleback and the Gothic (Ample) Chasuble reminds me of modernist priests too much. What are your thoughts? Is the “innovation” of the Roman Chasuble the new “Tradition”, or should we be going back further to the Gothic chasuble? The same applies to the Baroque: apparently it was a rupture with Tradition, and yet today, Baroque looks traditional. It seems like you could keep going back further and further, why stop at Gothic, let’s go back to Romanesque, and even further until we get to Antiquity. But then that’s just antiquarianism, no? Where do you draw the line? The bottom line is all forms can be done nicely or poorly. Hope this helps. At the time I became wounded for Christ just several years ago, I was skeptical of what our beloved sacramental Church had become. I was confused and suspicious of this new desire for something (later to become clearly evident that I desired Someone) greater than myself. So, ignorant of the prayerful and spiritual life, I delved into 2000 years of the history of Christian (which is really all Catholic) spirituality, coming to rest on the 3 ways of the spiritual life. I didn’t know why exactly I was attracted to this spiritual path until I pondered your article. I find that the most solid evidence for your argument is the traditional and seemingly-disciplined approach to God. 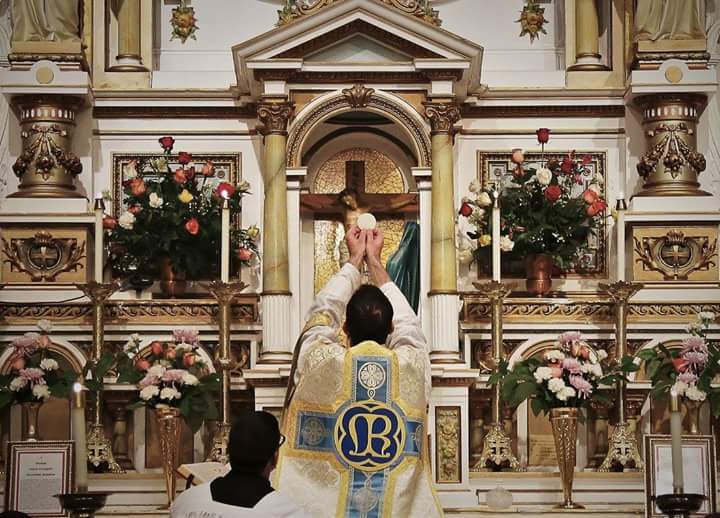 It deliberately incorporates much of what we Catholics fear that we have already lost—that Catholic Culture that our ancestors lived: The love and appreciation for the traditions of the Holy Mass, all the sacraments, all levels of prayer, and especially the communion required with both God and our Neighbors on our journey to heaven. It is how I sanctify myself by sanctifying my family. Thank you for writing this article. It has brought me much spiritual and intellectual fruit! I agree that the pre-Vatican 2 Mass, and general way all was was very different and had a very depth that was very visable-beautiful too. I do not disagree with what the Church decides, and am encouraged that like most things that are changed, there are things going back to the past and reviving things from the old. I am glad there are those today who are picking up and teaching those of us about contemplative prayer. In this Diocese, women can bring the Eucharist to those in the nursing homes or homebound in between Father;s visits. I am 72, and worked 42 years as a geriatric care nurse and it has been so beautiful to share the Catholic faith with those who cannot get to Mass anymore. Father has given those of us training and he stays in close contact with us each time he fills the pyx. He is the consecrated one and I listen, for I am not worthy to have this privilege to carry Jesus on my person, let alone gove to His chosen ones at the nursing home. I do it in love and great humility. And yes, I wish women-libbers had left thigns alone so a women could have respect again…they accomplished nothing more than cheapening femininity for all of us, and my posterity. God bless you and thanks for letting me think out loud. cultures come and go. The Catholic Tradition Is.